This plugin allows you to restrict player movement temporarily using events. By default, they can move in all four, or eight, directions. By using certain plugin commands, you can “lock” certain directions if you didn’t want to allow them to move in those directions. Download ths plugin and place it in the “plugins” folder in your project’s “js” folder. Then open your Plugin Manager (F10), double-click an empty row, and select the HIME_MovementDirectionLock plugin. For convenience, you can lock multiple directions in one command. Does this plugin still work? When I try to activate it my character just won’t move at all. This script is nice… but it doesn’t seem to respect mouse control. Hi, i have one problem, if i use some one diagonal movement script, your script don’t work and i can move, I tried everything but it still did not work. Hello this is a really cool script and I thank you for it. Have one question though, the character sprites sit a few pixels above the tiles, how do I get them so they are positioned directly on the tile? Like in the screen shot on this page. Hi, thanks for making this plugin. It’s just what I needed, but I’m having a small problem. I’ve tested and it doesn’t seem to restrict movement with mouse/touch? Maybe I’m doing something wrong. To be sure I did a parallel event that restricts all movement, and sure enough I can’t move in any direction with the keyboard but the character still is able to move wherever I click with the mouse. Yes, it does not restrict mouse input, which is a bug. However, if I implement logic to restrict mouse, it would also prevent things like move routes. I’m not sure if that would be expected. This plugin works well only if you use also a plugin that allow diagonal movement. Anyway, thanks for plugin Hime, it’s very useful! 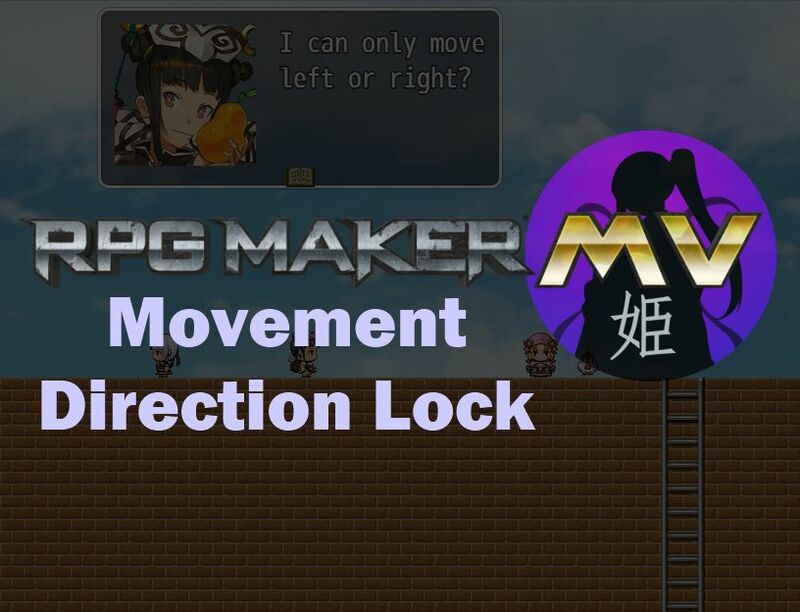 I’ve updated the plugin so that it uses whatever movement system you have in your project. Hey Hime, thank you for this, it is exactly what I need. Or, at least, most of it. Would it be possible to add locking for the menu and dash inputs as well? Yes, it could be disabled using map settings, but what if you wanted to temporarily block input during specific events on the map? On the third page of the event editor there is a “change menu access” you can use to block the menu. Oh,ok thank you! I guess that makes sence now that I think about it… If it was only button press then it would be harder to do things like the sideview overworld thing in some of your msg plugin screenshots! Is it possible to get this to work like the direction lock script for VX ACE where you could hold a button to lock it? This plugin was designed to activate when a command issued. If I changed it so that it activated on button press, it wouldn’t be as versatile. I would recommend looking for a plugin that executes commands when a button is pressed and released.